This special event will reflect on the progress made in LGBT+ rights and the journey made in relation to HIV, along with the journey still to be travelled. 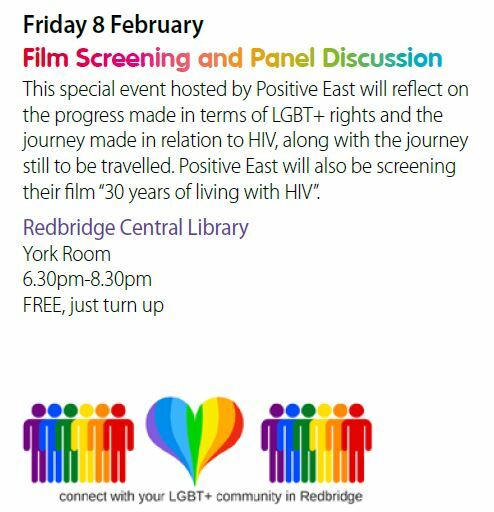 Positive East will also be screening our film – “30 years of living with HIV” – and announcing the launch of our new HIV prevention and support service in Redbridge, delivered in coordination with Redbridge CVS. Take a look at the Eventbrite page here for more information.